Project Pat upset some Three 6 Mafia fans last week when he said that the group was merely a business arrangement, but the Memphis rapper says he didn’t mean to offend anyone, including DJ Paul. DJ Paul, who with Juicy J is the business and creative force of Three 6 Mafia and its affiliated businesses, announced earlier this month that he was forming the group Da Mafia 6iX with five of the six members of the original Three 6 Mafia line-up: Gangsta Boo, Koopsta Knicca, Lord Infamous and Crunchy Black. The sixth member of the Tennessee group is Juicy J, who is Project Pat’s brother. Project Pat says that he’s excited about Money Train Management, a full service management company owned by Juicy J and run by Project Pat and Nasty Mane. The company represents with promoters, producers and rappers. Project Pat is on the “Cheez N Dope” tour and is wrapping up the second installment of his Cheez N Dope mixtape. 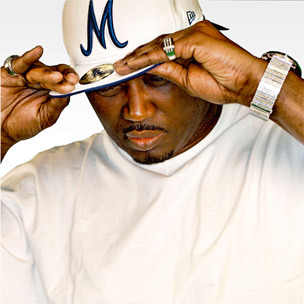 He’s also working on part two of his Mista Don’t Play (Everythangs Workin) album, the 2001 collection that featured the singles “Chickenhead” and “Don’t Save Her.” The Tennessee rapper emerged in 1998 as a member of the rap group The Kaze and released his debut album, Ghetty Green, in 1999.